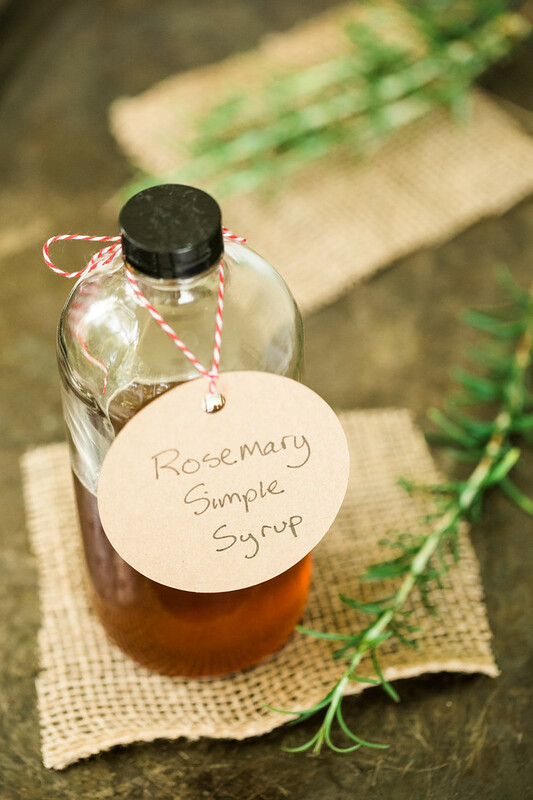 This Rosemary Simple Syrup is so easy to make. Just use it in place of plain simple syrup in your cocktail recipes and up your cocktail game! 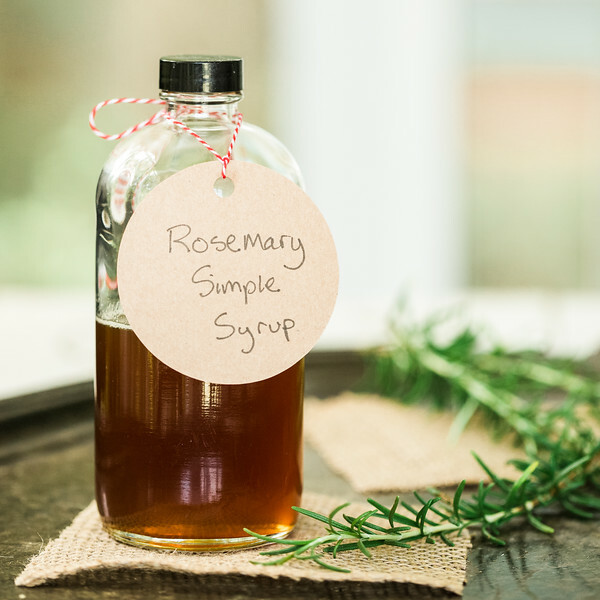 Click here to pin the Rosemary Simple Syrup now! The easiest way to up your cocktail game and create a fabulous craft cocktail is with an infused simple syrup. A lot of cocktails call for a simple syrup and one of the easiest ways to change up a cocktail is to change up your simple syrup. I am a huge fan of infused simple syrups, as you can probably tell from my Thyme Simple Syrup and Ginger Simple Syrup. While my rosemary pretty much grows year round, it’s resiny flavor always makes me think of fall and winter. It’s such an earthy herb. And, that’s just the tip of the iceberg! It’s also great stirred into lemonade or sparkling water for a non alcoholic drink! Feel free to suggest some more cocktail pairings in the comments! I also love pairing it with Homemade Limoncello for a refreshing herby, lemony cocktail! It’s so easy to make this, you first bring sugar and water to a boil. While you can use any granulated sugar, I like superfine sugar because it dissolves so easily. I use this India Tree Brand, but this C&H Pure Cane Quick Dissolve Superfine would work also. Let it boil for for 3 minutes then stir in honey, I like to use Raw & Unfiltered Honey. Add the rosemary and let it steep as the sugar mixture cools. Remove the rosemary and store in the fridge! So easy!! I found this recipe in Donna Hay’s August/September 2015 magazine. This Rosemary Simple Syrup is such an easy way to kick up your cocktails! Place the sugar and water in a small saucepan and bring to a boil. Boil for 3 minutes. Remove from the heat and stir in the honey and add the rosemary sprigs. Let mixture cool to room temperature. Remove the rosemary sprigs and store in a lidded bottle in the fridge. oh i love anything and everything with rosemary! such a great recipe! will try it soon! I love anything rosemary. This would make a lovely homemade christmas gift. I have lots of rosemary, so I loved coming across this recipe! Thanks for all the great cocktail ideas, too. I like having simple syrups stocked on hand. They’re great for drinks and like your suggestions. They are so easy also! Oh this is amazing! I would love to make a big batch and put it in pretty bottles and give as gifts with a bottle of whatever booze my friends like- Yum! It does make great gifts!